A lot of people don’t seem to understand that SEO is a long term, ongoing strategy that will not necessarily see their website at number one for popular search terms but can help with long tail search results. There are a multitude of companies out there who promise they will increase your websites rank to #1 quickly and easily, with no effort required by you. Whilst it is possible to increase your sites ranking, you should be aware that a lot of these services play on your lack of knowledge to produce “results”. One of my customers stories springs to mind in relation to this. They were approached by an SEO company (before they became my customer) and were promised there “so-so” website would be at the top listing of Google search. They paid an undisclosed amount to the company who then proceeded to apparently optimize the site (without actually changing anything) so it would rank higher. After a couple of months went by, the customer contacted the SEO company and said they still did not see their site on search at all for many popular search terms relating to their business. The SEO company’s reply was “please type the term, followed by your site URL and you will see your listing is at number one”. Needless to say this customer demanded their money back with the threat of legal action, but obviously this happens a lot and some people do not know that this is a trick. So how do you not get ripped off with SEO? My advice is to look at the bigger picture, and chase the smaller keyword phrases. If your business is about personal training for instance, it will take a lot of time, money and effort to even show up on the top 3 pages for that term. But if you generate content related to longer keyword phrases that your prospective customer may be searching for, your results will be a lot more effective. Good tip. There are SEO companies that will take advantage of site owners who simply may not understand how search terms work. You’ve provided good advice. 1) You have to READ, LEARN and then EXECUTE a particular strategy. 2) If you’re a business owner, how will you have time for this? 3) Hire your own SEO company/agency.. However, make sure they have case studies and can backup what they’re offering. If they can’t prove results with past/present clients with referrals who vouch for their services – keep searching. I believe there are a lot of companies out there that do take advantage of people who do not know much about the way search works, and they are the service providers I was referring to in the article. As always unfortunately the good ones get tarnished by the bad, but as you say if people practise due diligence they should be able to avoid problems. I am not saying do not use a SEO service but rather explore possibilities to do some things on your own first. Content marketing and social sharing is not out of reach of the average business owner and can be implemented to get results. As always, if the business is time limited they should consider a reputable company to help them with this. I agree whole-heartedly. 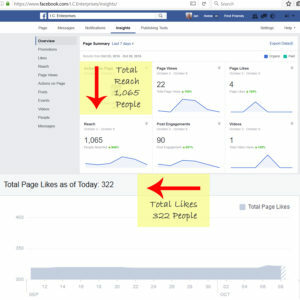 I suggest to all my business’ that they utilize somebody “social savvy” inside their place of business to assist with social media — however, I advise against it if doing larger campaigns (paid) and FB app development (for collecting user information). I look forward to reading some more of your stuff.